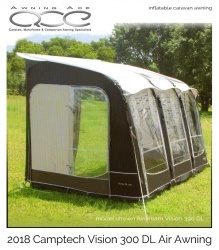 Clearance Indoor Demonstration Model 2018 Starline 260 inflatable Porch Awning. Introducing the all-new 2018 Starline 260 Air Inflatable caravan porch awning from Camptech. 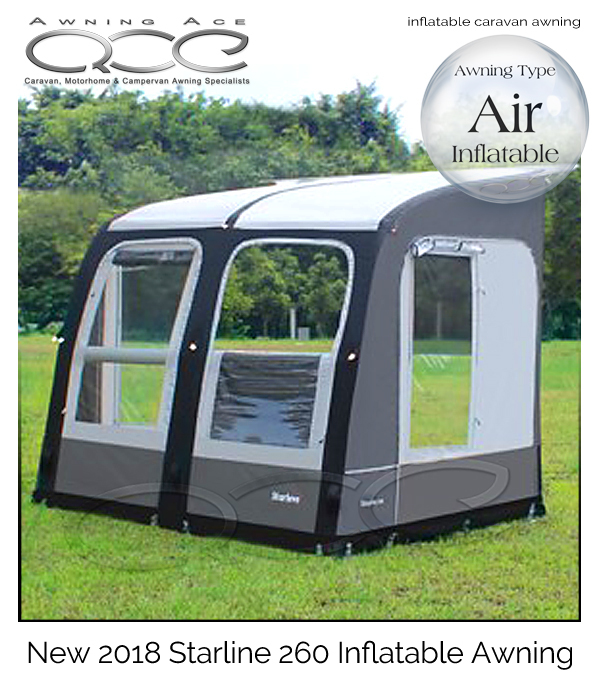 Carefully and considerately designed to provide the very best quality and value for money for the European market; the Starline 260 offers incredible durability and versatility in a very competitively priced package making this the perfect choice for those looking for an affordable yet practical air inflatable porch awning. 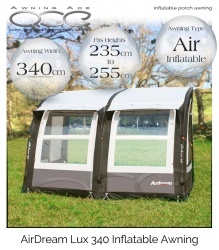 For a more flexible sleeping or storage option, the new Starline Inflatable Awning Annexe is available separately. This annex option can be zipped to either side of your Starline 260 awning providing additional storage or sleeping space at a truly remarkable price. The standard annex with a footprint of 220cm x 180cm is the ideal solution if you need more space. This awning has been a demonstration model at our indoor showroom and only has very minor cosmetic marks The awning is virtually new and is complete without missing part, repairs or defects. The awning fabric has not been exposed to direct sunlight or rain so is 'as new' without any degradation, fading or faults. 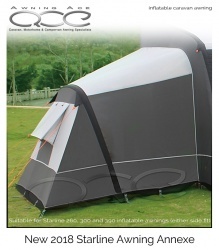 All original accessories are included as listed above - this awning comes with a full 12 months guarantee. This awning has obviously been unpacked and displayed, so please expect the product to have some cosmetic signs of use and incomplete original packaging.